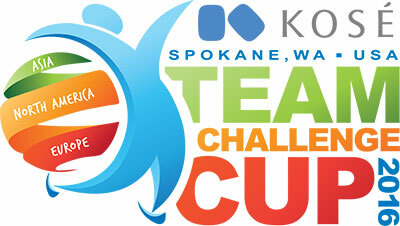 It's figure skating time in Spokane as the KOSE Team Challenge Cup brings 42 of the world's best skaters, competing for global pride, to the Spokane Arena this Friday through Sunday, April 22-24. Olympic Champion Kristi Yamaguchi will captain Team North America, so come cheer them on. Good seats are still available at www.ticketswest.com or 800-325-SEAT. 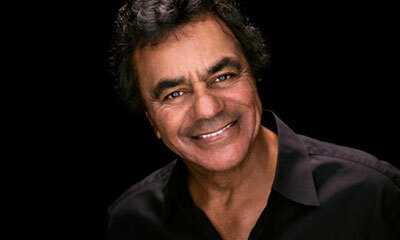 The legendary Johnny Mathis, on his 60th Anniversary Tour, comes to the INB Performing Arts Center this Sunday, April 24 at 7. For tickets, contact Ticketswest at www.ticketswest.com or 800-325-SEAT. The Culinary Stone at 2129 Main St., in Coeur d'Alene's Riverstone, is a 5,500 square-foot culinary playground, modeled after the charm of an old-world outdoor market. They've just announced their May cooking classes. 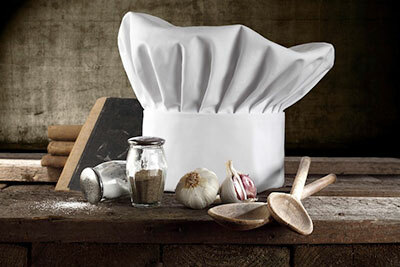 Go to culinarystone.com, sign up and have some gourmet fun. 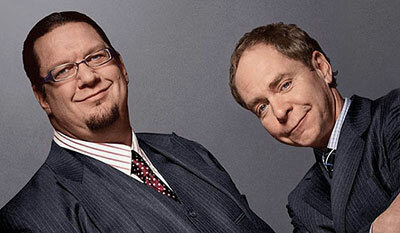 Penn and Teller, the comedic duo of TV and Las Vegas fame, entertain at Northern Quest Friday, May 13 at 7:30pm. Go to northernquest.com for information and tickets. It's that time of the year again. 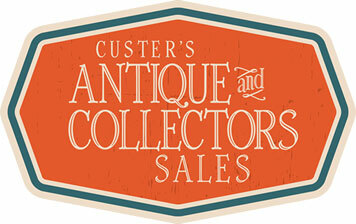 Custer's 41st Annual Spring Antique & Collector's Sale is at the Spokane Fair & Expo Center this Friday through Sunday, April 22-24. This is the largest indoor Antique & Collectors Sale of its kind in the Inland Northwest with 150 Dealers participating from all over the west coast. Shop among thousands of vintage treasures including: Kitchenware, Industrial, Estate and Costume Jewelry, Furniture, Primitives, Rustic Garden, Elegant Glass, Shabby Chic, Prints, Retro and more. The Four Orchestras of the Spokane Youth Symphony will perform in a special concert this Sunday, April 24, 4pm at the Martin Woldson Theater at the Fox. 'The Colorful Orchestra' will feature Tchaikovsky's vivacious Capriccio Italien, Rossini's 'The Thieving Magpie', and Muczynski's Dovetail Overture. The Spokane Youth Symphony, under the artistic direction of Dr. Philip Baldwin, is comprised of four progressive orchestras, each designed to develop the skills of young musicians at increasingly challenging levels. The Spokane Youth Strings, the Spokane Youth Sinfonietta, the Spokane Youth Philharmonic, and the Spokane Youth Symphony Orchestra. Ticket prices are $16 for adults, $14 for seniors and $12 for youth 17 and under and are available at the Box Office, by phone at 509-624-1200 and at www.ticketswest.com or 800-325-SEAT. Hundreds of homes for sale will be open to the public this weekend, as part of the Spokane Association of Realtors' 8th Annual Open House Weekend, Saturday & Sunday, April 23-24. This year, visitors may enter to win a grand prize of a $1,000 VISA gift card (one entry per person, per house; over 18 only). Bank of America sponsors the event. Most participating homes will be open both Saturday and Sunday 9am to 5pm. Visit SPOKANEOPEN.COM for times and locations. Each open house will be marked by blue balloons with the trademark Realtor 'R'. A Realtor will be on hand at every home to welcome visitors and to answer any questions. Be sure to enter the grand prize drawing at each open house you visit. The winner will be drawn and announced on May 4. Arbor Crest's Fireside music concert series continues through this month and this Thursday, April 21 Ron Greene will perform, and on Friday, April 22, Isaac Walton is guest musical artist. Music runs from 5:30-7:30 both days. Food, wine and beer are available for purchase. Also going on at Arbor Crest is their Annual TulipFest with thousands of flowers in bloom on the Cliff House Estate grounds. There is a Facebook photo contest this year for TulipFest, where you can enter to win Concert punch cards for the summer concert season. Visit arborcrest.com for more details. Hours for TulipFest are daily noon-5pm and Thursday and Friday noon-8pm. 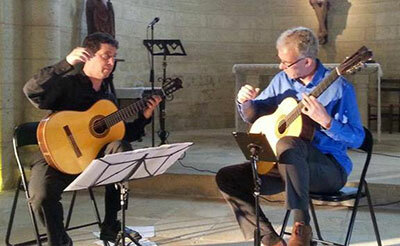 Renowned guitarists Michael Partington from Seattle and Marc Teicholz fron San Francisco, come together at Lindaman's Restaurant this Friday, April 22 for an evening of music for two guitars, including works by Manuel de Falla, Fernando Sor, Johannes Brahms and others. Join these two celebrated classical guitarists for a rare concert in the intimate supper club setting at Lindaman's at 1235 S Grand Blvd. Plenty of free parking. Tickets are $20 and available through Brown Paper Tickets, click here. 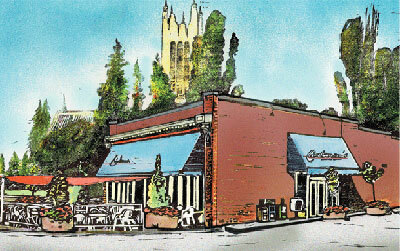 Lindaman's food and bar will open. Concert is at 8pm. No food available after concert starts, bar will stay open. For more information, call 509-838-3000. Carl Orff's monumental work for orchestra, chorus and soloists, Carmina Burana, will be performed by the Spokane Symphony with Eckart Preu conducting on Thursday, April 21 at 7:30pm at the Fox. With its earth-shaking sounds and powerful rhythms, it's a celebration of all that's lusty and luscious in life. Excerpts have been widely used in movies and television commercials throughout the world, including The Matrix Revolutions, The Last of the Mohicans and South Park. Tickets are available at the Box Office, or by calling 509-624-1200, and at www.ticketswest.com or 800-325-SEAT. Fresh from its concert tour to southeast Asia, the acclaimed Whitworth Wind Symphony will present 'Sinfonia Asiana' at 8pm this Friday, April 22 at the Fox. Richard Strauch conducts. The program will feature a celebration of American and Asian-inspired music, including Adam Gorb's 'Adrenaline City,' Steven Bryant's 'Stampede,' and James David's newly-commissioned 'All Dark is Now No More,' and other selections. For tickets and more information, visit www.ticketswest.com or 800-325-SEAT. Tickets also available at the Box Office. For the Gonzaga Symphony Orchestra season finale, Music Director Kevin Hekmatpanah is joined by renowned clarinetist Richard Stoltzman and will perform with the Gonzaga Symphony Orchestra, two selected pieces by American masters. Aaron Copland's 'Clarinet Concerto' and Leonard Bernstein's 'West Side Story for Clarinet and Orchestra.' The orchestra will also perform other works by Berlioz, von Suppe, and Ravel. The concert takes place at the Martin Woldson Theater at the Fox on Monday, April 25 at 7:30pm. Tickets available at the Box Office and at www.ticketswest.com or 800-325-SEAT.